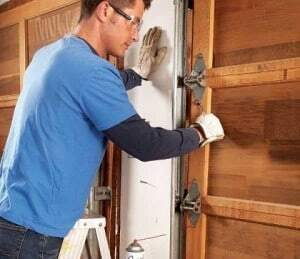 Welcome to Garage Door Restore Perth! Need a garage door repair done in Perth W.A ? We can help. With over 15 years of experience in the industry and access to the largest range of parts in W.A we can repair almost any residential garage door, whether it is a roller door, sectional door or tilt door. We are one of the longest operating garage door companies in Perth. We are based in Bayswater W.A but we cover areas from Yanchep to Rockingham. We offer free call out and if the job is anything more than a minor repair or service we will give you a free quote. It is then up to whether you would like to proceed on the spot, at a later date or not at all. We stock parts and remotes for brands such as Merlin, Dominator, Guardian, Boss, ATA, Jaytech, Gliderol, Steel Line, Centurion, B&D, Roofmart and SEIP amongst others. Give us a call or send us an online enquiry and we will be happy to assist.